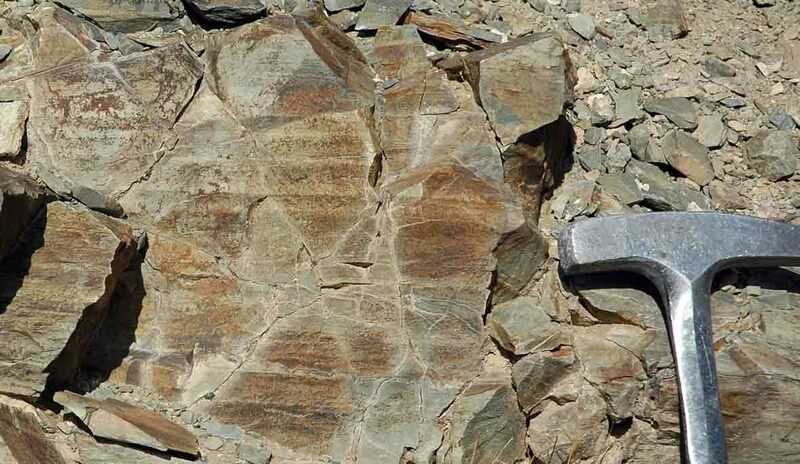 Graded bedding in late Pre Cambrian rocks of the Gobi Altai, Mongolia. Several nice examples of beds grading from light at the base to dark at the top are visible in the upper part of the specimen. They show this is right way up.